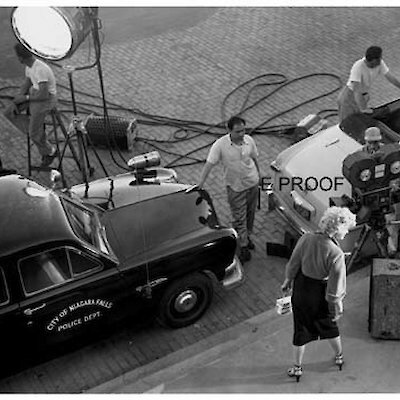 A lot of folks seemed to like some of my Marilyn Monroe photographs taken by Eddie Hodge during the filming of the movie, Niagara filmed in June of 1952.Here are a few from my personal collection. The first shows Marilyn preparing for a scene that was being shot in front of Table Rock House near the brink of the Canadian Horseshoe Falls. See how bored the film crew looks. 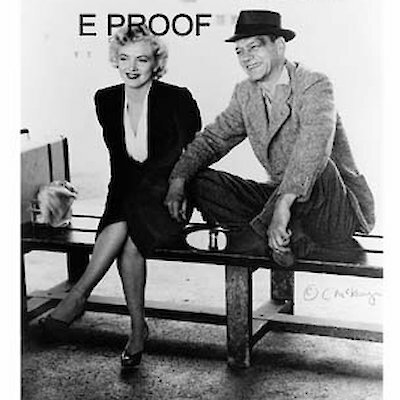 The second is a shot of Marilyn and her co-star Joseph Cotten seating on a bench in the old (now long gone) Niagara Falls Bus terminal near the falls. They were waiting to film a scene. The Secret Garden Restaurant is now located where the terminal was located.